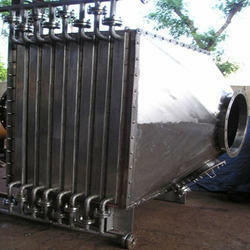 Pioneers in the industry, we offer air pre heater and heat recovery system from India. With the continuous support of our adept and seasoned professionals, we are devoted towards offering a commendable range of Air Pre Heater. 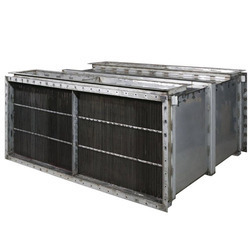 The offered range is precisely manufactured by making use of high grade components and leading technology in synchronization with the set industrial norms. In line with clients' variegated requirements, we offer the entire range in various technical specifications. We offer this heater at reasonable prices. Aerotherm specializes in Heat Recovery System and units where in we have helped our clients to take down and stop furnaces and refrigeration systems by introducing low temp low pressure air heating for air pre-heaters using waste condensate and ammonia based air chilling units.